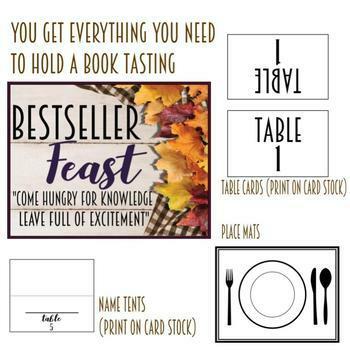 Hold a "BOOK TASTING FEAST" in your classroom and have your students choose their next novel! Media Specialists and Librarians make it an evening event for parents and children to get a taste of some new books. It also a great way to set up book clubs and have students make their next choice! 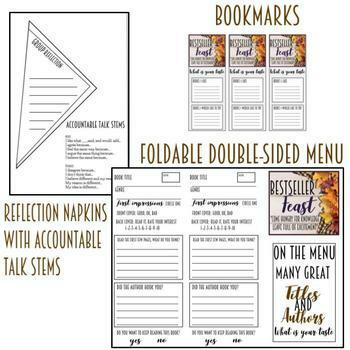 Check out my accountable talk bundle here!!! So, be the next to transform you room into a place where your students get excited about their next new book. 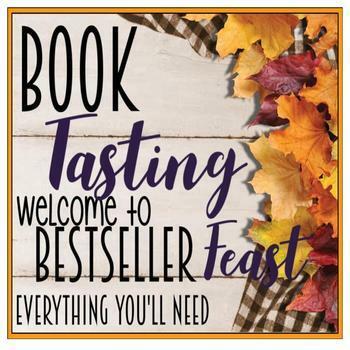 I suggest googling book tasting for ideas about decor which most can be purchased at a dollar type store! Use it over and over again for many years. It will be one of your favorites and your students too. Parents will just eat it up! Please follow and ask any questions as I have held many Tastings! Feedback is always appreciated! Thanks.